Gomez Insurance Agency, a family owned insurance firm with offices serving the greater Chicago area and the surrounding regions, is launching a charity drive aimed to raise funds in support of Chicago-based non-profit Prevent Child Abuse America. Founded in 1972, Prevent Child Abuse America has spent a generation combating child violence in Chicago and throughout the country. 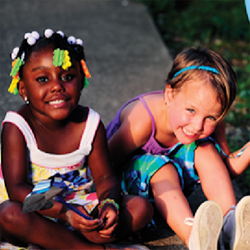 As part of their ongoing mission PCAA has launched the Healthy Families America program, which works to implement civic policies that prevent or reduce isolation and maximize connections for children in Illinois and across the nation. “Our children are our most precious asset, and the Healthy Families America program helps ensure that our kids can live their lives free of fear and abuse,” explains Jose Gomez, founder and manager of Gomez Insurance Agency. Gomez and his team are launching an email awareness campaign and creating an online social media portal to provide added publicity to the PCAA charity drive. As well, the Gomez Insurance team will feature the PCAA charity effort and the Healthy Families America program in the next edition of “Our Hometown,” a monthly online magazine produced by the firm: http://www.gomezinsuranceagency.com/Our-Hometown-Magazine_41. Readers who want to join Gomez and his team during the PCAA charity drive to stop child abuse are invited to visit the Gomez Insurance website and make a donation to the effort here: http://www.gomezinsuranceagency.com/Healthy-Support-For-In-need-Families_26_community_cause. Readers who want to review the list of Chicago charities and causes supported by Gomez Insurance can find them on the firm’s Community Causes page: http://www.gomezinsuranceagency.com/community-cause. As a Personal Finance Representative in Chicago, agency owner Jose Gomez maintains relationships with many local families. His knowledge and understanding of the people in his community helps ensure that Gomez Insurance clients are provided with an outstanding level of service. Jose and his team look forward to helping families protect the things that are most important - family, home, car and more. The Gomez Insurance Agency also offers clients a comprehensive preparation strategy for achieving their financial goals. To contact an expert at Gomez Insurance Advisors, visit http://www.gomezinsuranceagency.com/ or call (773) 777.7520.